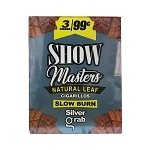 My wife used to smoke Salem 100 cigarettes, she tried about 4 brands of little filtered menthol cigars and liked them all, several even better than the Salem. The RAP menthol were her favorite, even better than the Bella menthol. The low price was an inducement to me, a non-smoker, so we ordered 23 cartons, which arrived 4 days after the order (made on a Saturday). Thanks for the trial package of Vaquero menthol, which she has not tried yet. We will be customers again. Surprisingly Good, Simple Quality. 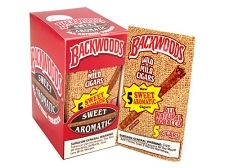 These cigarillos are comparable to Red Buck. Light and smooth, and best of all the filter doesn't break off like some other cheap cigars. I have been ordering these for a few months now. I am very pleased with them and the price is perfect for me. Love the flavor. Will continue to order!